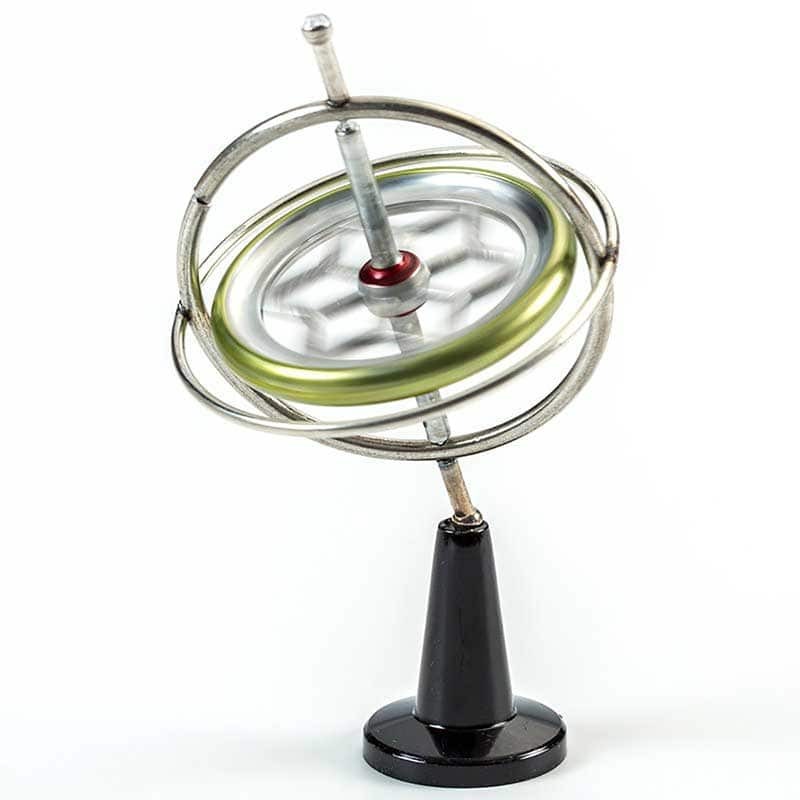 Tedco Toys, Made in U.S.A.
Toy gyroscopes have been demonstrating the law of action and reaction for over 100 years. 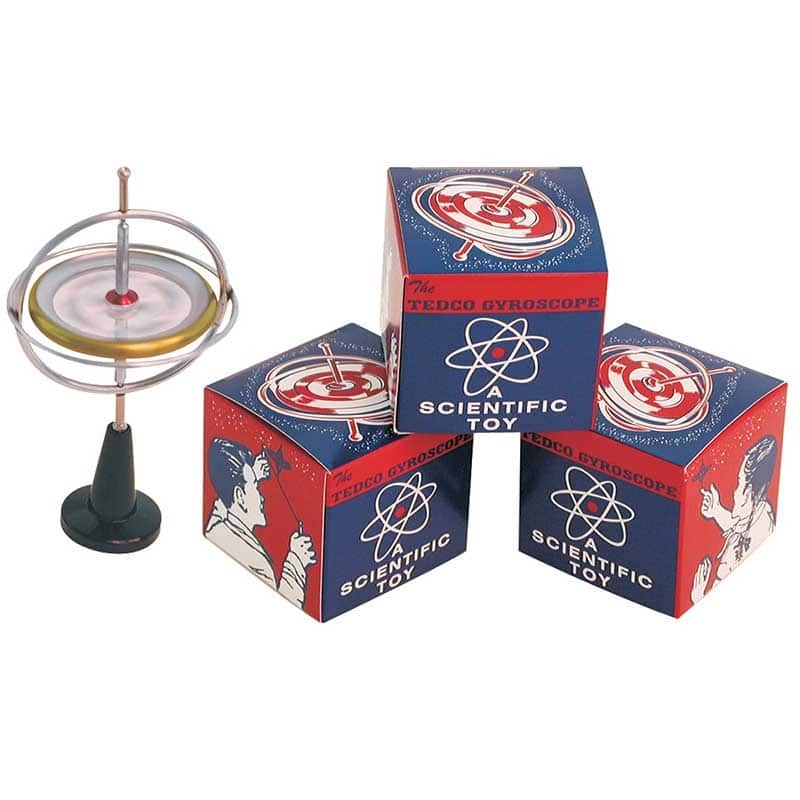 It is a classic educational toy that continues to fascinate with its mysterious gravity-defying force. Gyroscopes are at the heart of modern gyro-controlled guidance and navigation systems used on ships, airplanes, and spacecraft. 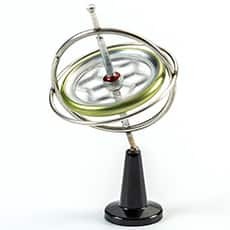 The Tedco gyroscope retains the original all-metal construction and design. It is precision engineered for near perfect balance, with mini-ball bearings for a long spin. Wind it with a pull string like a top. Ages 8+. Handmade, Hand inspected. Made in USA. Your gyroscope will spin merrily on its pedestal ... dance on a string tightrope ... balance perfectly on the lip of a drinking glass. 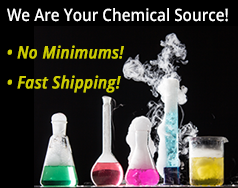 Place the spinning gyroscope on a tight wire or string, on the edge of an unbreakable drinking glass. On the edge of a yardstick or ruler, or on the edge of any sturdy surface. Place the spinning gyroscope so that it balances on the horizontal frame member. Place a second spinning gyro on the end of the first and they will maintain balance and position together. Suspend the spinning gyroscope in a loop made by doubling the string. The gyroscope will maintain any angle above or below the horizontal at the bottom of the loop.